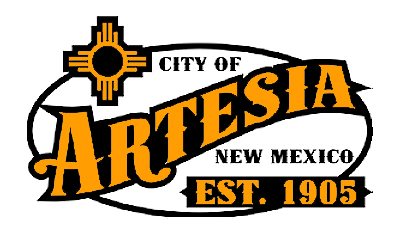 “As has been the norm during the City’s water difficulties, Artesia City personnel participated today on a conference call with New Mexico Drinking Water Bureau (DWB), a division of the New Mexico Environment Department. The meeting included a review of yesterday’s activities as well as plans for activities scheduled for today. The DWB concurs with the actions being taken to resolve the current situation. Ten water samples were taken on Tuesday and sent to the lab located in Hobbs. Results from those tests were received at 5 p.m. today (Wednesday). Two tests taken from locations showing positive on Tuesday showed positive again. One test taken from a new location in town showed positive. Seven samples showed negative. The three positive samples are in areas that were subjected to chlorination and flushing on Tuesday night and during the day today. Samples have been taken again from these locations and it is our hope they will show negative tomorrow since being subjected to the chlorine process. In addition to the three positive locations being sampled again, another seven locations around town have been sampled and sent to the lab. We will get these results late Thursday afternoon. The Boil Water Alert issued by the State of New Mexico last Saturday will continue in force. Water that is to be consumed, used in cooking and to wash fruits and vegetables must be boiled for a minimum of one minute before using. City water can safely be used to wash clothes, shower, bathe or water plants or lawns. Bottled water from retail establishments can be used. Ice made using water from the City water system should not be used. This includes residential ice makers as well as commercial and restaurant ice. However, ice made outside of Artesia should be safe for consumption. City crews are continuing to flush the system by allowing fire hydrants to flow in various parts of town in an effort to move water through the system and bring fresh water in. All tanks have been inspected and tested with satisfactory results. Testing will continue as agreed with the State of New Mexico. City personnel will continue to monitor senior citizen residents, nursing home facilities, the meal site and daycare centers to assure these are following the alert procedures and have ample supplies of bottled water. Artesia residents with hardships and unable to secure another water source, should call 575-746-9821 or 575-748-0267 for City personnel to respond. Additional information about a Boil Water Alert can be found by going on line to www.env.nm.gov/dwb/Documents/boil.